Your chance to present the PFA Fans' Player of the Month awards - Macclesfield Town F.C. Liverpool forward Sadio Mane won the award for the top flight, while in-form Bristol City striker Tammy Abraham won the vote in the Championship. 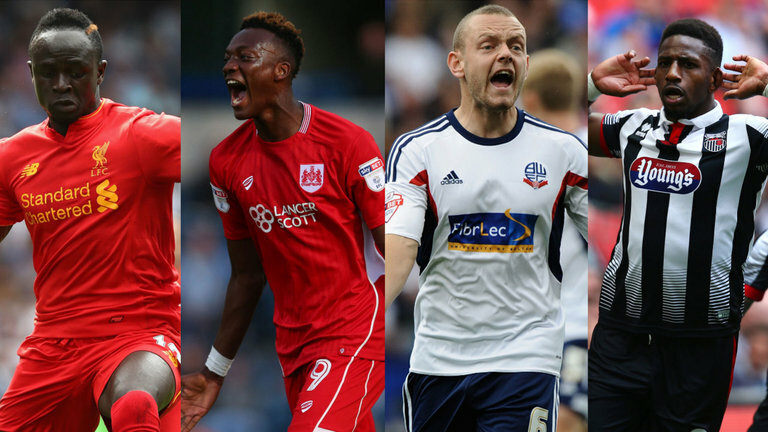 Bolton midfielder Jay Spearing and Grimsby's Omar Bogle were the winners in League One and League Two respectively. And now four fans - who are resident in the UK or Ireland - can win the chance (subject to terms and conditions) to meet and present the award to the PFA Fans' Player of the Month in each division. All you have to do for the chance to win is to select the team and player you support, and you will be entered into the prize draw.